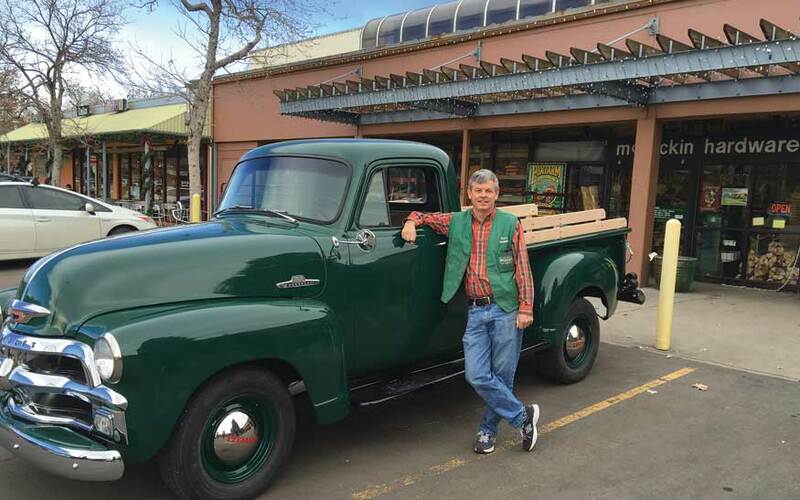 Barry Hight, third-generation owner of McGuckin Hardware, poses with the business’s iconic green truck. The store celebrates its 60th anniversary this fall. Just like everywhere, Boulder County took a big hit during the recession. 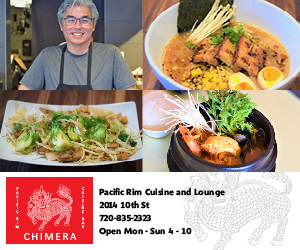 Not only residents, but also local businesses. Now that we’re finally putting those years behind us, the county’s smaller businesses are beginning to rebound. But local support is crucial to their efforts, they say. 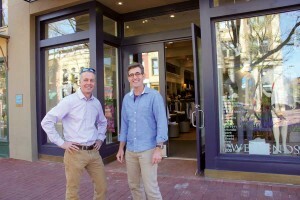 Sean Maher (left) of Downtown Boulder Inc. visits with John Shopbach, owner of Weekends, which started out selling jeans in 1990 and now offers contemporary casual clothing. 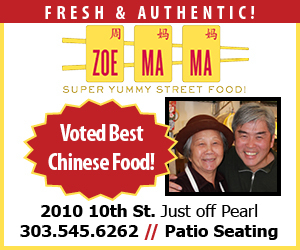 On the Pearl Street Mall, springtime brings tulips and about 80 percent local business. From late June through the end of August, visitors outnumber the locals, about 60-40. 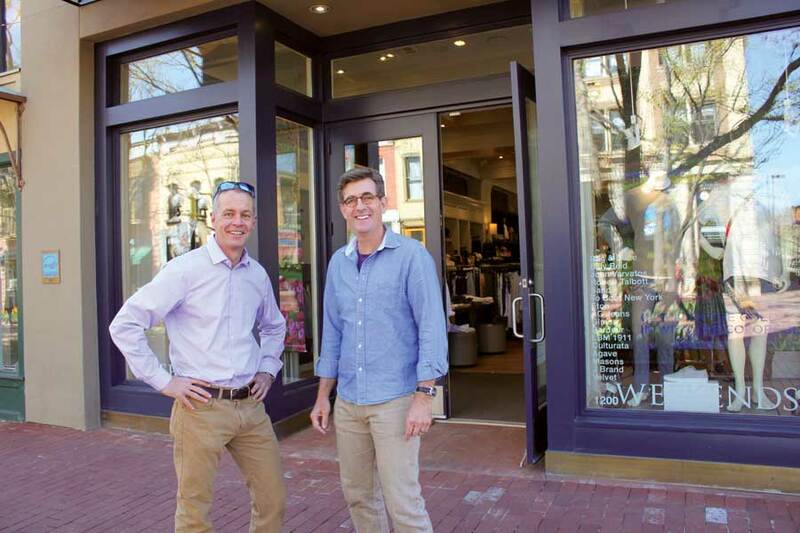 “But without that 40 percent of local shoppers, the businesses wouldn’t be here,” says Sean Maher, executive director of Downtown Boulder Inc.
Locals supporting small local businesses aren’t the only factor in creating a sustainable business community, however. And a savvy market doesn’t guarantee success. Every year, newcomers enter the business pool. Some make a big splash and soon go under. 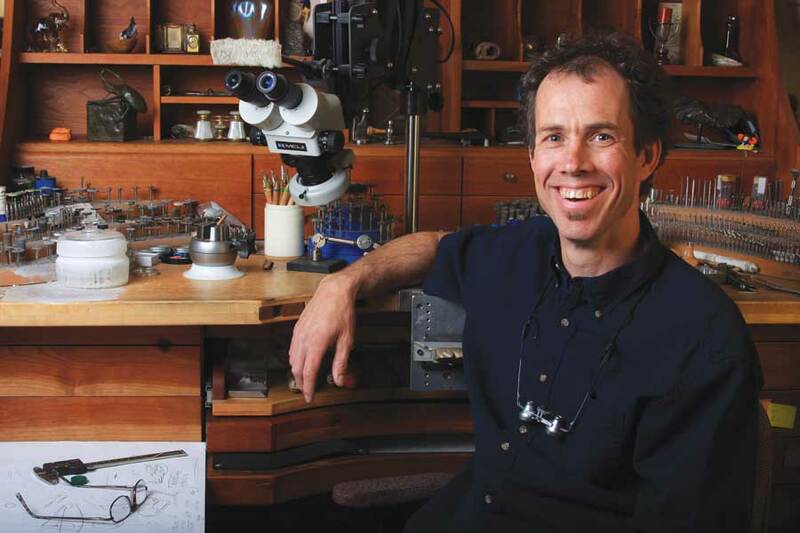 “Boulder is a sophisticated market,” Culbertson says, “and Boulderites have a high expectation of businesses.” The problem is that as the Boulder market has become more sophisticated, the challenges to those who want to start something new have become more daunting. It is expensive to do business in any area with that kind of cachet. And then, the cost of doing business goes up every year—not just here, but everywhere in the country—as freight, credit card fees, insurance, workers’ compensation, utilities and rents climb higher every year. But perhaps the first thing a new business needs to succeed is a good idea. 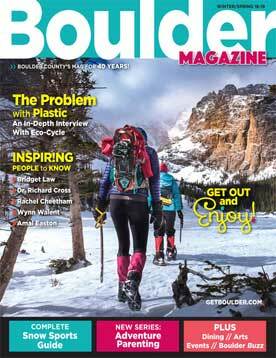 “When I started Boulder Magazine we offered free listings for arts and culture events, and we had about three dozen events listed,” Brock says. “Today, it’s almost a thousand”— which translates into patrons for Boulder’s cultural and community events. If a business is going to make it long-term, it must listen to customers and find ways to continually serve their needs. 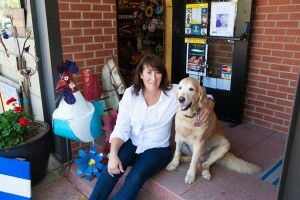 Some businesses, like McGuckin, Peppercorn and Boulder Bookstore, have endured and become fixtures of Boulder County. Listening and flexibility are the keys. “If you shop local, you have that personal experience, a connection with people, and the kind of service you don’t get on the Internet. 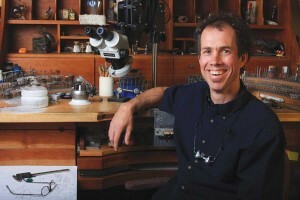 Customer service is number one,” says Bill Cronin, who has owned Cronin Jewelers for 35 years. “Local shoppers rock. They make my business better every year. My employees and I love selling local stuff, we love being here, and we love our customers.” —Wendy Atkin, owner of 6-year-old Old Friends gift shop in Louisville. 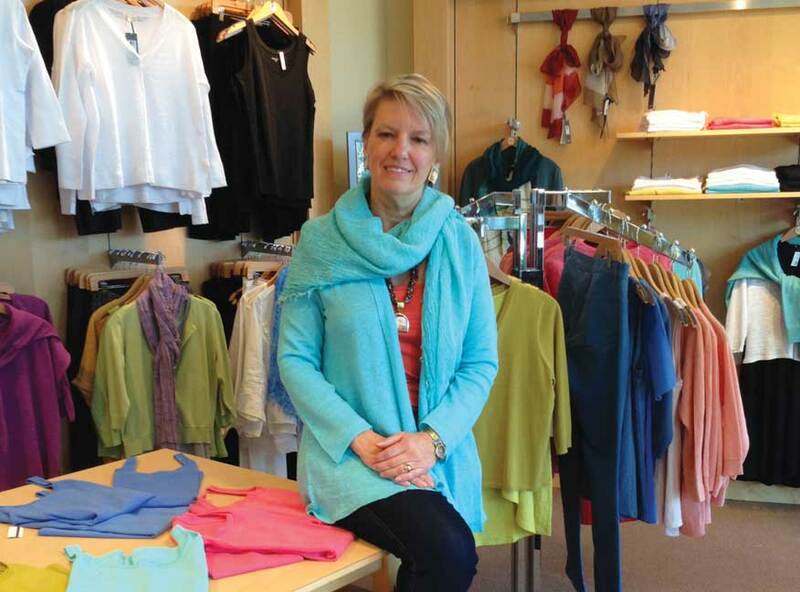 Business is thriving in other Boulder County communities as well, including Louisville, Lafayette and Longmont. 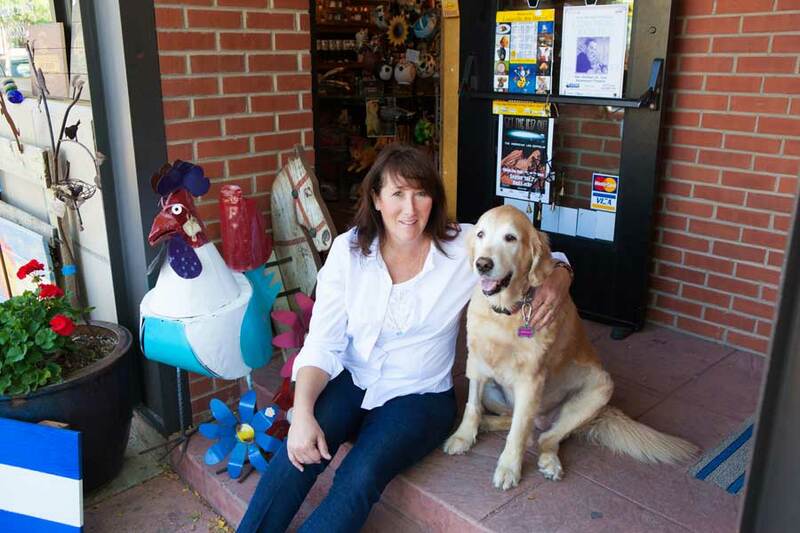 Longmont’s revitalized downtown area recently received a major boost when it was certified as a “Creative District,” one of only 12 in the state. The program was established by the state legislature in 2011 to enhance cultural and economic vitality and serve as a focal point of community identity. During the certification process, the downtown Longmont district redeveloped real estate for mixed-use purposes, opened four new galleries on Main Street and an arts-education center, and completed new public art projects. Next on the agenda is an artist incubator program housed within the studios at the Roosevelt Park Apartments mixed-use complex. The really big downtown project for 2015 is the old Butterball turkey plant site south of First Street on Main. Demolished over the past several months, the plant will be replaced by four or five four-story buildings with 300 apartments and 10,500 square feet of commercial space. Today, in downtown Longmont, sales tax revenues are up 32 percent since 2010, and the newly streetscaped Main Street is vibrant with foot traffic. Forty restaurants and bars in the downtown area complement the many shopping opportunities, including five music stores and gift shops like Discovery Egyptian Imports, Old Town Outfitters and Crackpots pottery studio. The Longmont Downtown Development Authority, funded by a portion of property taxes in the district, is continuing its work on streetscaping and alleyways, and looking at getting a historic-district designation. Future efforts will include pushing outward into other parts of the district, extending the positive energy the LDDA has built over the last few years. Hopefully, we in turn support them. Shopping locally pays off, and not just for your friends and neighbors who rely on your patronage. It pays off in a healthier, more vibrant community. One dollar spent at a locally owned business will return five times that amount to the community through city taxes, employees’ wages, and purchases of materials and supplies at other local, independent businesses. In addition, says the Boulder County Independent Business Alliance, a local business turns that dollar back into the community through school funding, social services, and contributions to local nonprofit organizations. By comparison, chains and franchises contribute roughly 40 percent and at times as little as 20 percent of the store’s sales back to the community, mostly through employee wages. And, since independent businesses usually don’t receive the same tax credits offered to chain stores, they contribute a greater proportion of revenues to local taxes. 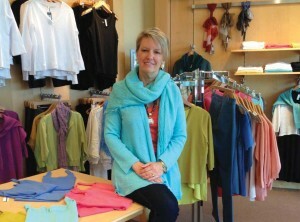 Kay Turnbaugh writes about a variety of subjects for Boulder Magazine. She is the author of Around Nederland, the award-winning The Last of the Wild West Cowgirls and The Mountain Pine Beetle—Tiny but Mighty, and co-author of the upcoming second edition of Denver/Boulder & Colorado’s Front Range: A Comprehensive Hiking Guide and Rocky Mountain National Park Dining Room Girl: The Summer of 1926 at the Horseshoe Inn.